At the Conservative Party conference, Theresa May announced the Housing Revenue Account (HRA) borrowing cap would be scrapped. Local authorities across England and Wales, who had borrowing restricted when the controversial policy was introduced in 2012, are now able to access additional funding to increase the delivery of social rented homes in their area. But the policy was only introduced in 2012 and we have experienced decades of undersupply. There have been wild predictions of the number of homes lifting the cap will deliver, from 100,000 additional homes to more conservative predictions by the Office for Budget Responsibility of 9,000 over the next six years. To return to the halcyon days of council housing delivery in the 1970s, we need a revolution in the delivery of new homes. Latest government data shows in England alone, 1.25m families remained on the waiting list for social housing between 2016-17. Over 60 councils have more than 5,000 households on their lists, and the local authorities with the longest housing waiting lists have over 25,000 families registered. Many have been on waiting lists for years, in some cases up to 18. Although the government has finally recognised that local councils need to contribute towards meeting housing targets, it will take a giant effort to turn back the clock on years of undersupply. The reality is, extra funding can only go so far. Since the financial crash in 2008, the UK construction industry has become increasingly dependent on talent from the European Union (EU). The proportion of EU migrants in the construction sector rose from 3.65% to 7.03% between 2007 and 2014. Construction site jobs are classified as low-skilled, and it is these workers who will no longer be welcome in post-Brexit Britain. There is a fundamental issue with this view, construction workers require detailed and specific knowledge and the classification is especially unhelpful when faced with a target of building hundreds and thousands of new homes. This issue sits on top of a rapidly ageing workforce and an existing lack of replacement workers with the necessary skills. The perception of the construction industry amongst school-leavers and parents is a key issue, one that is made worse by the classification of construction jobs as low-skilled. We are losing out on home-grown talent as people are immediately dismissive of low-skilled jobs. The industry has launched a number of campaigns to alter this perception, but these initiatives are unlikely to plug the gap quickly enough. 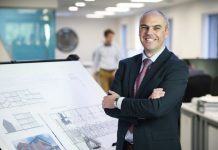 According to Homes England, based on current entrant levels, the construction sector could see a 20-25% decline in the workforce by 2026, with particularly acute skills shortages in bricklaying and plastering. We recently surveyed 50 senior council officers who echoed these concerns – when asked about barriers that would prevent them from building more houses, council representatives cited resourcing capacity (46%) and the skills shortage (35%) as some of the largest obstructions. Recognising the concerns expressed by council representatives in our recent report on the Future of Social Homes for Rent, and with so many families on housing waiting lists, a radical and immediate solution is required. Using modern methods of construction (MMC), it is possible to build up to four times as many homes with the same onsite labour required for one traditional build. 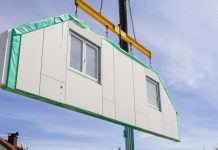 MMC include, but are not limited to, panellised units produced in factories and assembled onsite, volumetric construction to produce modular units in factories prior to transport, floor or roof cassettes, pre-cast concrete foundation assemblies and pre-formed wiring looms. These have the potential to provide more building work with existing levels of onsite labour as factory-based production does not generally draw from the same labour pool as onsite construction, therefore, it is not competing for the same skills. Modern methods of construction are still largely an untapped resource. 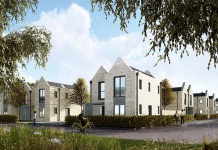 When we asked council representatives about the importance of MMC and offsite construction to meeting their housing supply targets, only 22% said they were “very important”. In the north of England, this dropped to 15%, with 20% saying they were “not very important at all”. This is especially concerning as local authorities in the north of England have some of the longest waiting lists across the country. MMC can also considerably reduce build times. 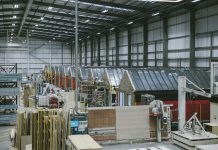 Modular and offsite construction can provide programme savings of up to 50% compared to traditional forms of construction. 24% of councils told us that slow construction is a major barrier to delivering social housing. 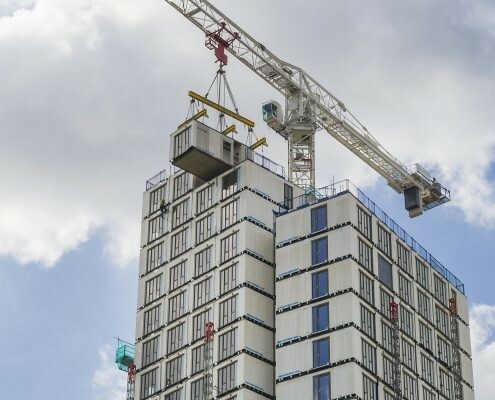 One of the largest benefits is greater certainty on timings and cost, as offsite construction is less impacted by external factors than traditional onsite builds. 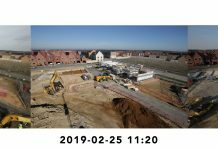 Even something as simple as the weather can have huge knock-on implications to the build rate on new sites and the last year has highlighted just how susceptible the industry is to adverse weather conditions. 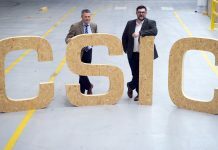 The government committed to supporting offsite construction a year ago in its Industrial Strategy. 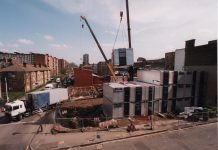 We must now consider ways of using the planning system to make it easier to build modular developments. For example, pre-approved modular designs could be ‘fast-tracked’ through the planning system. Even if a Brexit deal is reached at this late stage, we will still be losing easy access to a critical pool of EU labour. Amongst this Brexit uncertainty, one thing remains a constant – the housing crisis. 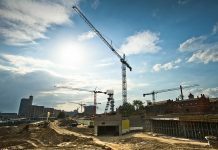 Local authorities may have increased access to funding, but there will likely be intense competition between them and registered providers for the best labour and the best sites. As the available pool of labour shrinks, it is essential that attitudes towards building change with it. Local authorities must innovate now to reduce housing waiting lists. The full Scape Group report, Future Homes for Social Rent, can be downloaded from scapegroup.co.uk/research.